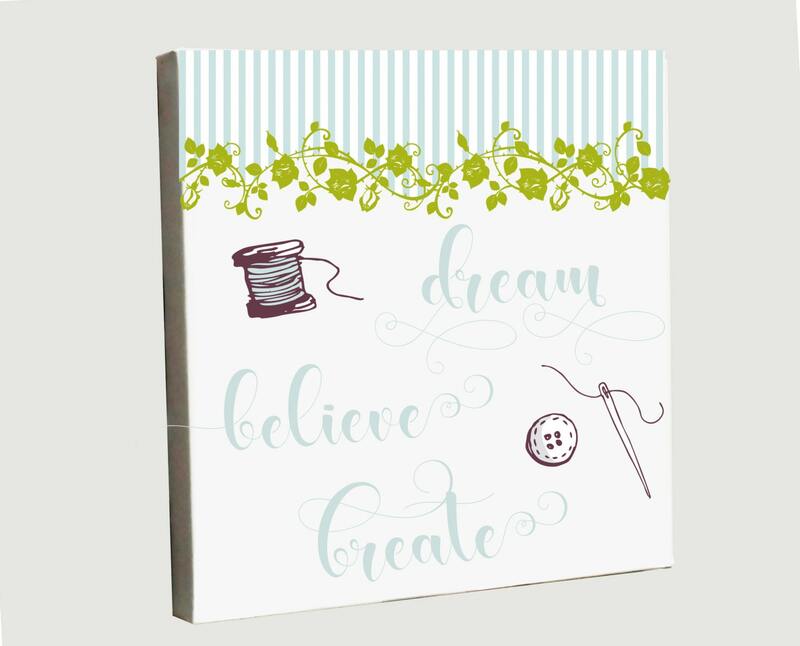 A stretched canvas designed with the sewing lover in mind. This beautiful artwork will inspire you to keep creating gorgeous items! It makes a fantastic gift and would be eye-catching as a décor in your work space.